Sparkle Me Pink: Purex UltraPacks plus Oxi - Your going to want to read this ! 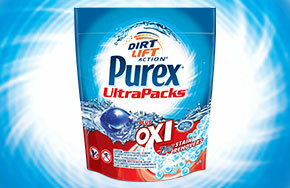 Purex UltraPacks plus Oxi - Your going to want to read this ! I don't just hate the actual washing and drying process. I hate the sorting, folding, hanging - basically everything about it. Especially when I have spent all this time doing all of those steps to only find a big ol stain still chilling out on the front of one of my sons shirt as I am trying to rush around in the morning to get him out the door for school in time. It got to the point where I felt, why bother ? Why bother doing all these steps, essentially wasting my time when the clothes were still dirty or at least look dirty. I guess I could have just up graded to those fancy "better" detergent but those are sometimes 3 times the price of the normal detergents!! I was beginning to lose hope that my laundry would ever look clean again. Until I was introduced to Purex UltraPacks plus Oxi. 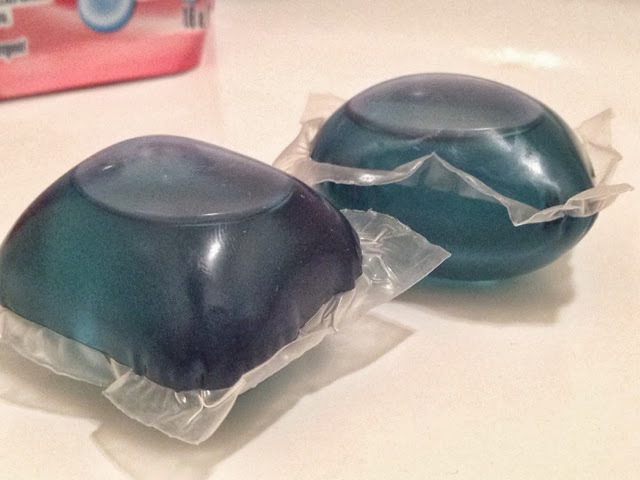 These convenient, single dose detergent capsules are fantastic ! These little buddies are filled with double concentrated liquid detergent, giving each UltraPack an extra boost of cleaning power in every packet. They dissolve quickly once the washer is started and even in cold water. Tip: Washing clothes in cold water rather than warm / hot water not only saves you money on your water and electric bill but also helps to preserve the quality of your fabrics. I also love how idiot proof these packets are. Already pre-measured with the perfect amount of solution, you are set up for laundry success. Just pop one or two in the washer depending on how large of a load you are doing and your done !! 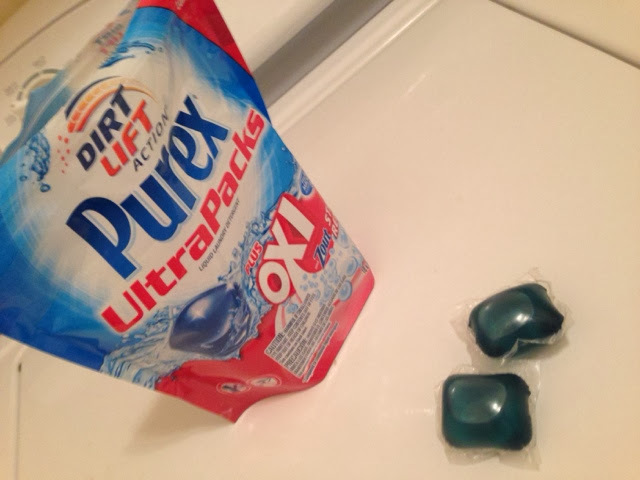 Now what makes Purex UltraPacks plus Oxi different than the basic Purex UltraPacks? 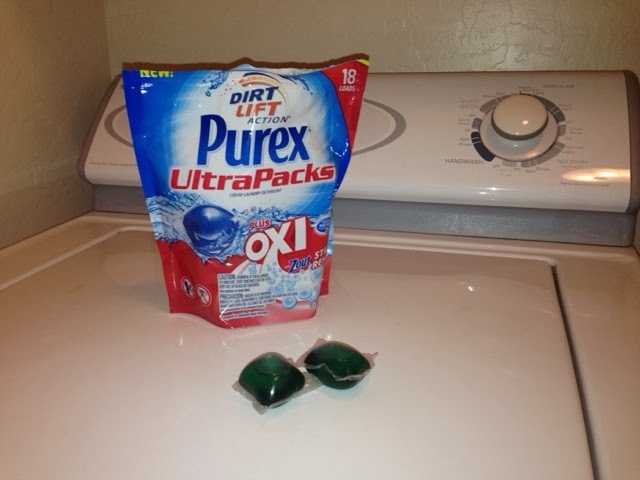 I trust my time and laundry to Purex UltraPack plus Oxi now and I encourage you to give them a try as well !! You will be surprised at how easy and efficient these little buddies are ! PLUS they are super affordable compared to some other name brand detergents on the market today who are just selling you on their name. I have faith now that when I do my laundry it will actually come out looking, feeling and smelling super clean ! Find the Red Football Jersey and Win Sweepstakes! Just find the red football jersey hidden somewhere on Purex.com and WIN $50! 10 Winners! Hint: Just toss and go! No mess. No spills. No heavy bottles.